Before you decide how you want to take advantage of these lower tax rates, it important to understand your plan options. Roth contributions are placed in a designated Roth account in 401(k), 403(b) or governmental 457(b) plans. They are funded with after tax money up to contribution limit of $18,500 plus the catch up contribution of $6,000 if the participant is aged 50 or older in 2018. Employees may elect a combination of pre-tax and Roth contributions if the total does not exceed the IRS 402(g) limit of $18,500 plus the $6,000 catch up. There are no income restrictions but the required Minimum Distribution rules still apply. These contributions are still subject to ADP discrimination testing so if it is feasible, you should consider adding a safe harbor contribution to take advantage of the maximum contribution amounts. Results in taxable income for participant which is paid using outside money unless the participant is eligible for a distributable event. 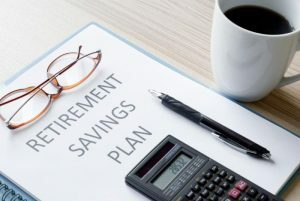 In-plan Roth rollovers will increase an individual’s AGI, so they should be considered if you plan on taking advantage of the QBI 20% deduction. Both Roth contributions and in-plan Roth rollovers allow for participants to pay taxes now based on the current lower rates. Profit sharing contributions may be slanted to provide larger benefits to certain key employees and owners. Small businesses such as S corporations can reduce their AGI by making profit sharing contributions and/or adding a cash balance plan. A cash balance plan is a defined benefit plan with characteristics similar to a contribution plan. Participant accounts under a cash balance plan are credited with a set percentage of yearly compensation plus interest charges. Contact Dunbar, Bender & Zapf today to learn more about the impact this law will have on your business and how we can redesign your retirement plan to help you take full advantage of the benefits offered by the new tax law.